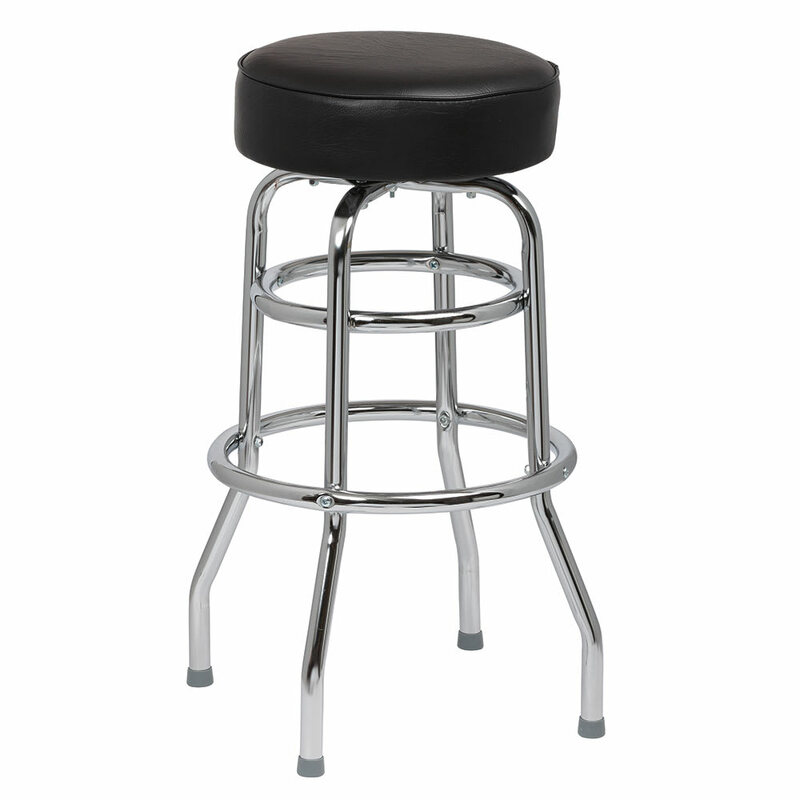 Suitable for most establishments, the Royal Industries ROY 7712 B bar stool has a chrome base and a black vinyl seat. This 14-inch-diameter by 4-inch-thick seat has a durable sewn welt and comfortable, 1-inch padding. A ball bearing swivel enables the seat to turn, and the tee-nut construction strengthens the unit. Learn more about bar stools and other pieces of restaurant furniture in our furniture buyers' guide.